The self-repairing element of this Rapid Roll High-speed door means that if door curtains come out of their guides, the system will automatically reset the curtain back into the guide on the next close cycle. This innovation makes it well suited for a scenario where impact with vehicles is a possibility. Damage is unlikely to be caused in such an instance, as the curtain design contains no metal parts. If an incident occurs, this product is a crucial asset to workforce safety. In addition to this, it also removes the need for technical servicing intervention and prevents your workflow from being disrupted. 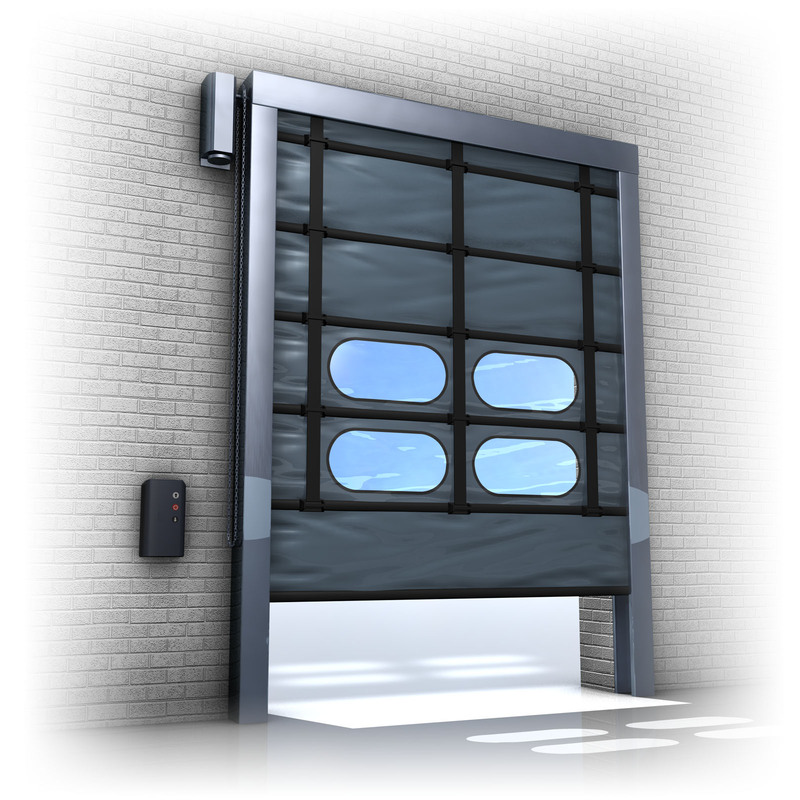 The functionality of Self-repairing Rapid Roll High speed doors is also impressive, as they are able to operate at a speed of 2.5 m/s and Oil-free guides allow doors to withstand wind loads of up to 120 km/h (depending on door size). Self-Repairing Rapid Roll columns are made from galvanized steel, or alternatively can be custom-ordered in stainless steel and painted various RAL colours to suit your preference.